Saturday, July 13, 2013; a Florida jury of 6 women has affirmed that it is legal and recommended that white men feel free to instigate a fight, lose the fight then shoot unarmed Black men. In one of the worst miscarriages of justices in American history, George Zimmerman has been acquitted in his shooting of unarmed child, Trayvon Martin. The 6 person jury found that Zimmerman was within his rights to disobey 911 orders, stalk, engage in a fight then ultimately murder a child of color. A dismal cloud of grey hangs over Florida and over America. The just us membership has once again flexed the power of its membership against the African-American people. Contributing to this travesty was a piss poor attempt by the prosecuting attorneys of Seminole County. At no point, during the course of this trial did the prosecutors even attempt to tell the court or the world the real story. 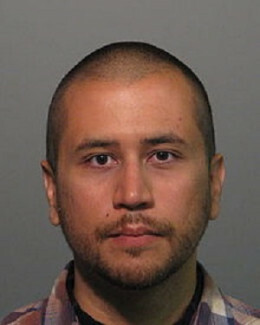 What was told, were the ridiculous accounts of the murder that Zimmerman gave to police and to the media. His lies and inconsistencies were obvious to all those who have paid the slightest amount of attention over the last year and a half. Standing idly by as the defense twisted the truth, the prosecutors did nothing to present any semblance of a sincere effort to find justice for the slain youth. The prosecution simply “threw the fight,” and allowed a child murderer to remain free. As the wheels of the judicial system continue to turn and grind the African-American people, we can now add one more injustice into the annals of American history. As the system continues to use the “War on Drugs,” for the mass incarceration of Black men, we are continually reminded for whom this country’s justice system was designed. 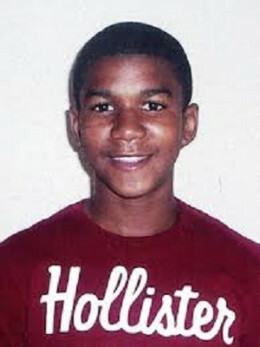 On February 26, 2012, in Sanford, Florida an unarmed child lay slain in the rain, Trayvon’s soul cried out for justice; justice that is supposed to be blind. On Saturday, July 13, 2013 lady justice regained her sight and said,” no matter how far you THINK you’ve come, Black man, justice is not now, never have been and will never be for you, Black man, just us”. This is very good news. I’m going hunting.